Two borough men accused of a vicious assault have walked free after the case against them collapsed. 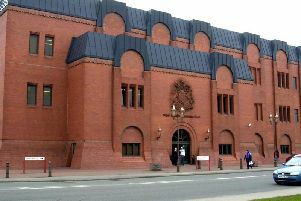 Jonathan Hogg, 32, of Caled Close, Tyldesley, and 30-year-old Dean Wallbank of High Street, Atherton, had been charged with wounding with intent to cause grievous bodily harm - the most serious form of assault after attempted murder. They were due to stand trial at Bolton Crown Court this month but when the day came the prosecution offered no evidence and both defendants were told by the judge that they were free to leave the dock.